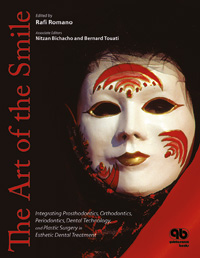 This exquisite new book combines the latest approaches to esthetic treatment by the world's top clinicians in prosthodontics, orthodontics, periodontics, dental technology, and plastic surgery. Lavishly illustrated, it offers a multidisciplinary perspective on diagnosis, treatment planning, integrating procedures for many common clinical situations. Specialists and general practitioners alike will learn much from this book's multidisciplinary perspective on esthetic treatment.